This widget will add all the Cities of China on your form. The first drop down field will filter the list by state, and a second drop down will be populated alphabetically with all the Cities in that state. 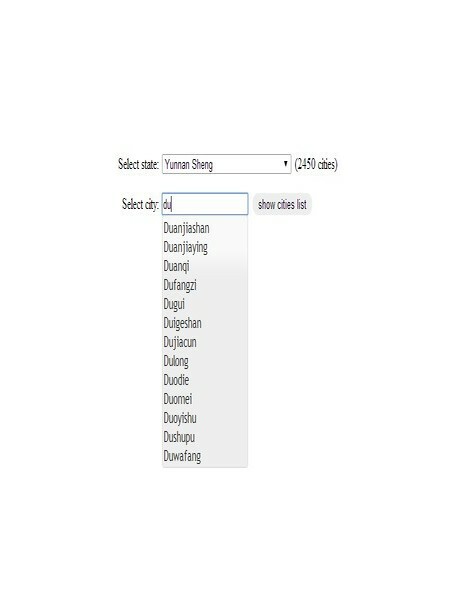 This will provide a quick and easy way for your form users to select any City in China when filling your form.